There have been a lot of questions about their MeeGoPad not having activated windows so I am here to answer those questions. There are some things to clarify, the MeeGoPad comes with guaranteed activated windows only when bought from the official shops. MeeGoPad runs and maintains those shops. 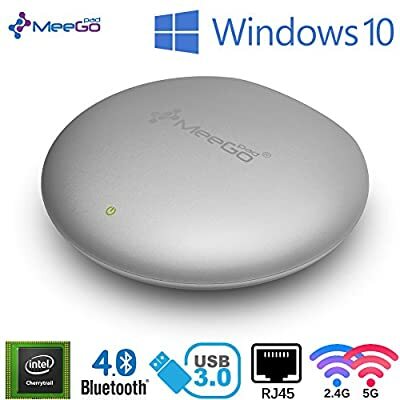 However there are many other sellers on Amazon, Ebay, or third party websites selling MeeGoPad and there is no Guarantee you will get activated Windows. If you want an activated Windows OS then buy from the official shop links below. Otherwise if you want to play around with it and install ubuntu, then pick any shop you want. If you do choose to buy from third party shops, we do not support Windows activation guarantee on it. Third party sellers may sell our devices that are not activated. It is your responsibility when buying from those stores. If you believe a third party's store contains accurate activation in the description, feel free to buy it. We do not dislike them, we just cannot guarantee an activation. I though you have a AliExpress Store too?. But we are going to go mainly with the Amazon store as the new product will have 2 day shipping there soon. is the amazon.ca also your store? will you be sending activated windows bought through there? looks like your store as per below. It is not our store so we cannot guarantee a license but things on Amazon are pretty creditable. See the seller is youmail. I think currently MeeGoPad T04 is out of stock from the official store due to "high" demand. Around several hundred were made, but its all sold out. More stock will arrive in several weeks. MeeGoPad is only selling activated products on their amazon shop. And I doubt MeeGoPad gave the crack. It is probably some third party seller. Hope people would understand that. Lot's of misunderstandings gets users confused and not buying any meegopads. I dont really get it though. I saw the feedback by Mr. Lon J. Seidman on the amazon page official of Meegopad. I noticed also that Mr. J. Seidman ordered item from an amazon seller called "daretang" but i didnt saw the feedback provided on his page, but on Meegopad's page. Is that a mistake? Daretang is not MeeGoPad official store. Cry cry. Don't buy from daretang then. I get that, but his feedback is under "Meegopad" seller, and not under "daretang" seller. Do you understand what i am saying? I am a bit confused about that. But to go forward just make sure to buy products saying activated windows from store links here if you want. Then if its not activated, we will provide replacement on the forum or through Amazon / Aliexpress channels. So if a third party seller sells a meegopad with unlicenced windows then, meegopad is responsible for it? lol Is this how it works? Correct. So buy from trustworthy stores. Even if they area not official store, on platforms such as Amazon, they will specify if their product is licensed or not.